As I mentioned in my Happy Halloween post, the holidays you miss most when living overseas are the ones that don’t even exist in the place where you’re living. 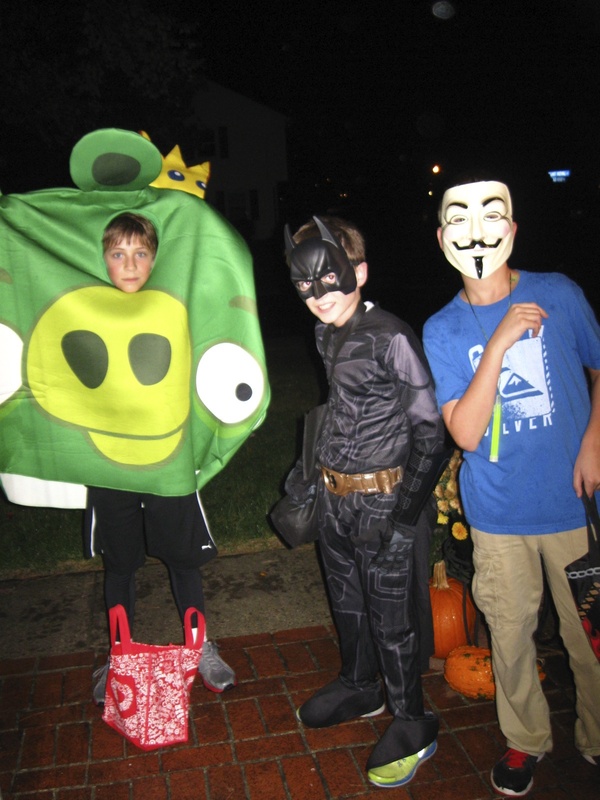 Italians, after sufficient exposure to American scary movies, have recently adopted Halloween, but there is no door-to-door trick or treating and children certainly don’t put on costumes. If anything, adults use it as an excuse for a rather silly night out and nightclub owners use it as a way to get more people in the door for a theme night. I was therefore really looking forward to seeing what the kids in my neighborhood (or their parents, in the case of the youngest ones) would put together. Your faithful writer at age 3. I thank J. M. Barrie for the idea and my wonderful mom for making such a brilliant costume with hardly any advance notice (three-year-olds are notoriously fickle) and on a shoestring budget. 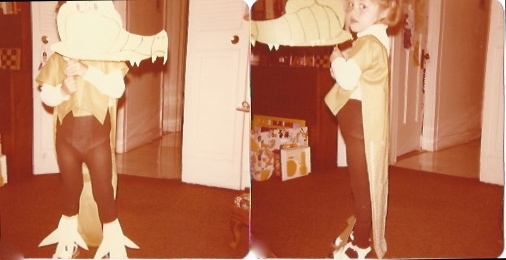 I, for example, on the first Halloween when I was old enough to choose my costume, opted to be the crocodile that ate Captain Hook’s hand. Go figure. My mom did a brilliant job of putting that costume together from scratch. She always did. 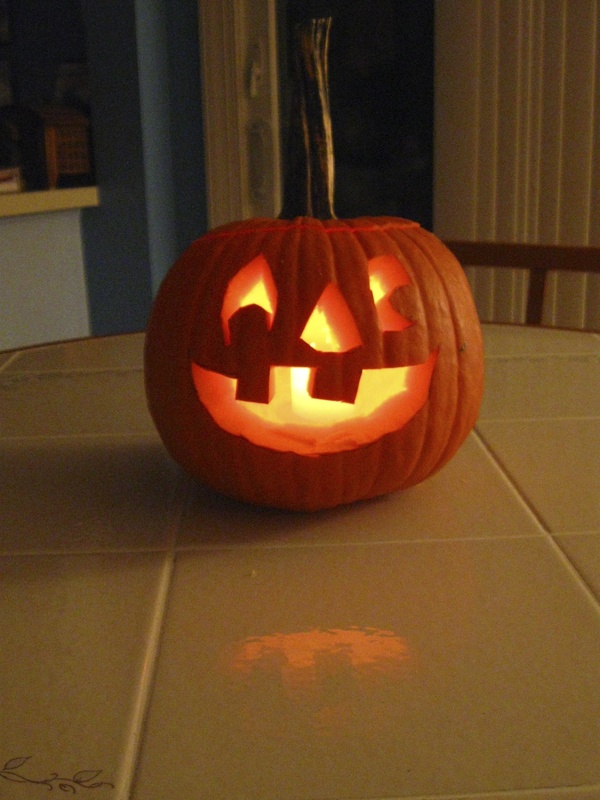 Jack-o’lantern, check. 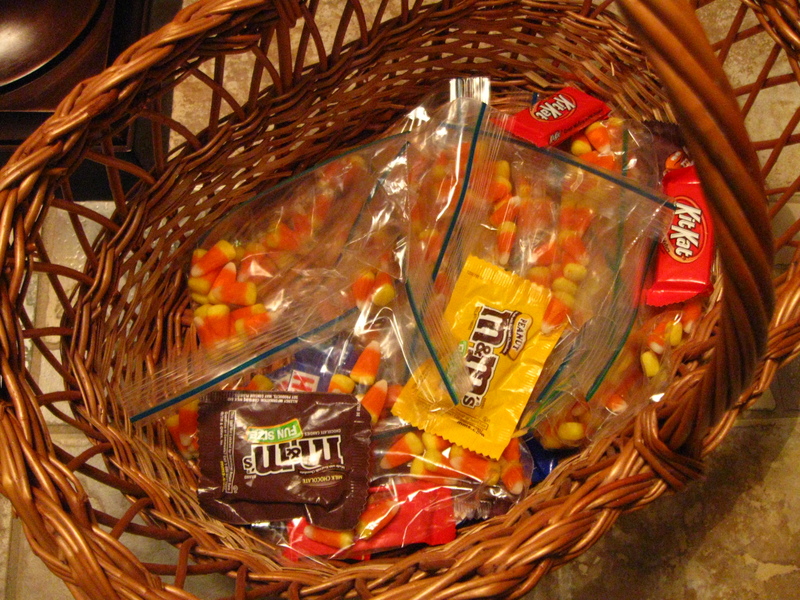 Candy basket, check. Now all we need are the trick-or-treaters. 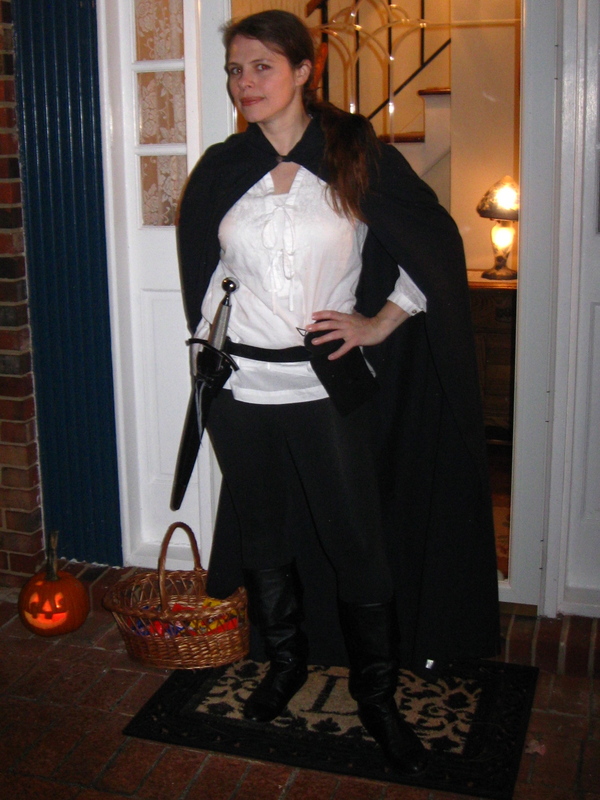 So, I may have had a sword and everything, but the peanut butter M&Ms were the big hit of the night, along with the little bags of candy corn my mom had made up after dinner the night before. She knew the kids would start arriving as soon as darkness fell (cue spooky music) and so she left me in charge of getting the Halloween meet and greet rolling. Darth Vader was one of the very first to ring my bell, before dusk had even properly fallen. 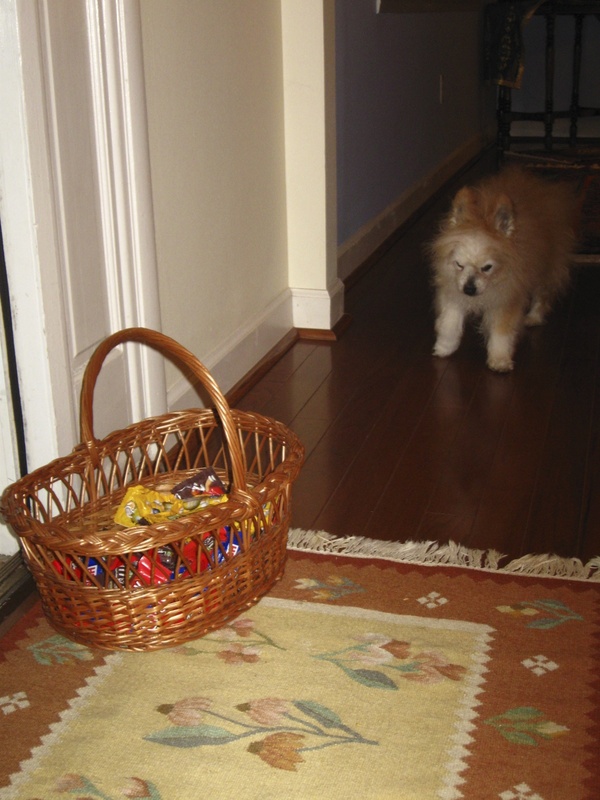 He knows that the early Sith Lord gets first pick of the Halloween spoils. 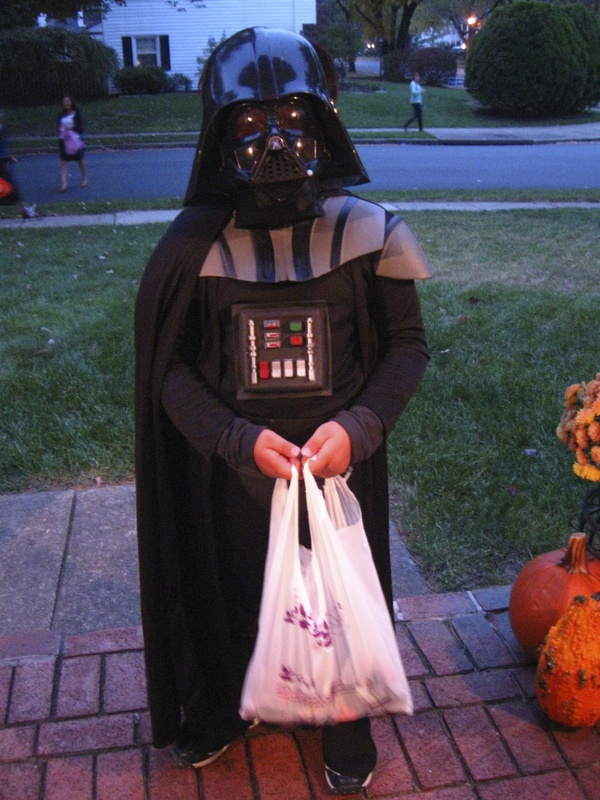 Actually, this kid was out with his friends and their parents collecting donations of canned food for a local charity. Well, we all know he came back from the Dark Side in the end. 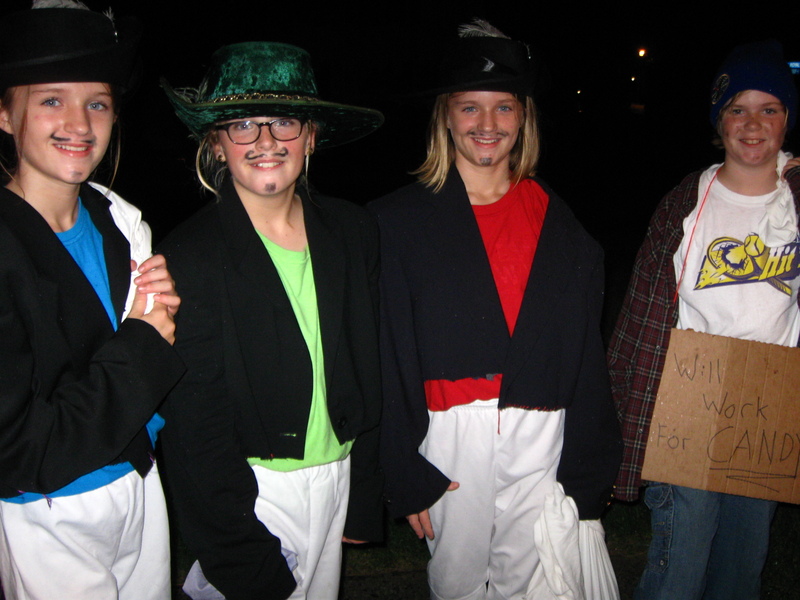 When asked, they introduced themselves as, “the Three Musketeers and a homeless guy”… or wait, could it be that d’Artagnan has fallen on harder times than we knew? I hope the chocolate helped. 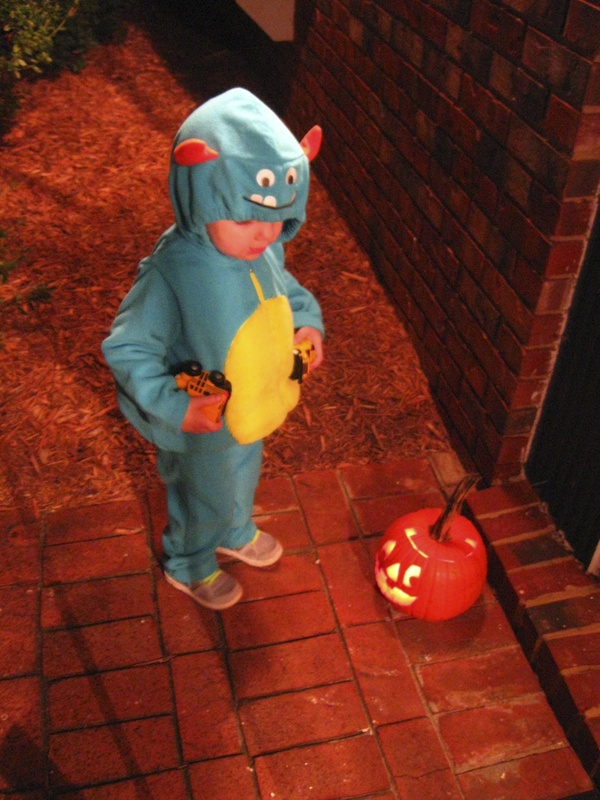 This little blue monster was more interested in the jack-o’-lantern than the candy. A motley assortment of heroes, superheroes and anti-heroes. My favorite of the evening. 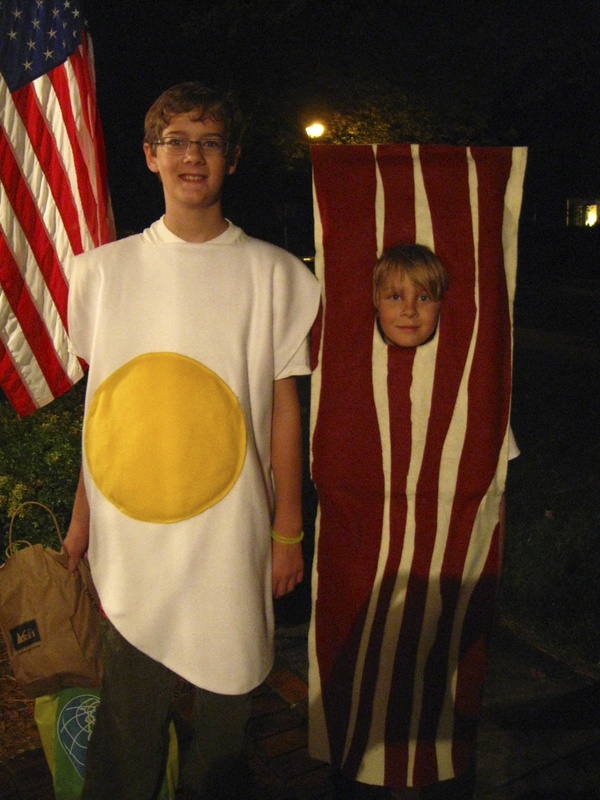 It doesn’t get much more American than bacon and eggs. These brothers get kudos for originality. Uh-oh, running low. Good thing Darth and company are heading home for dinner soon. 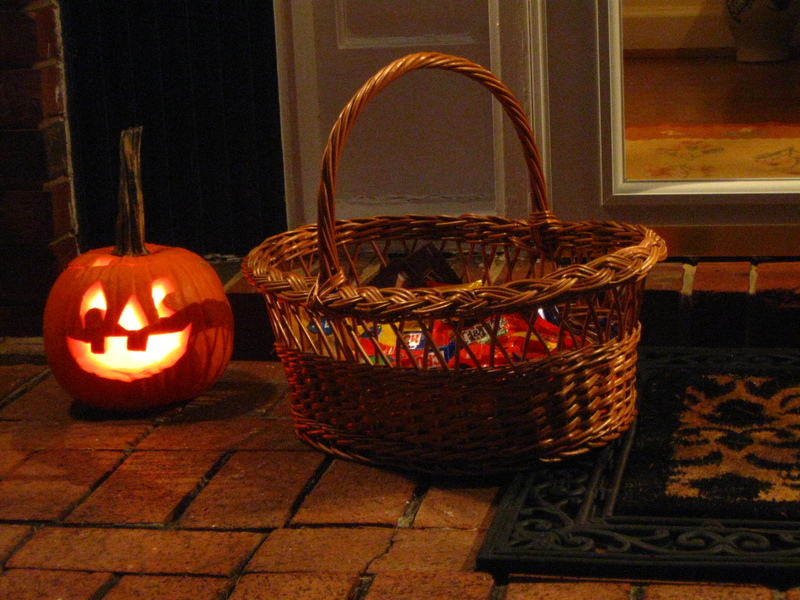 All in all, the trick-or-treating experience definitely lived up to my expat returned expectations, and better still, there were no tricks, only treats. I guess I may have seen too many of those scary American movies myself. Pirate me, sword and all. Until next time, ciao and thanks for reading! 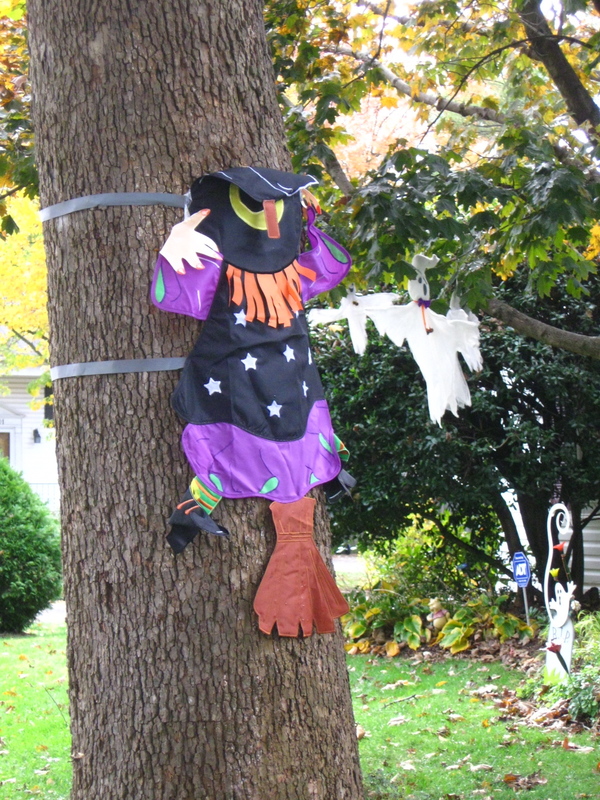 This entry was posted in Explorations, In Jest and tagged Costume, Halloween, Holidays, Trick or Treat. Bookmark the permalink.